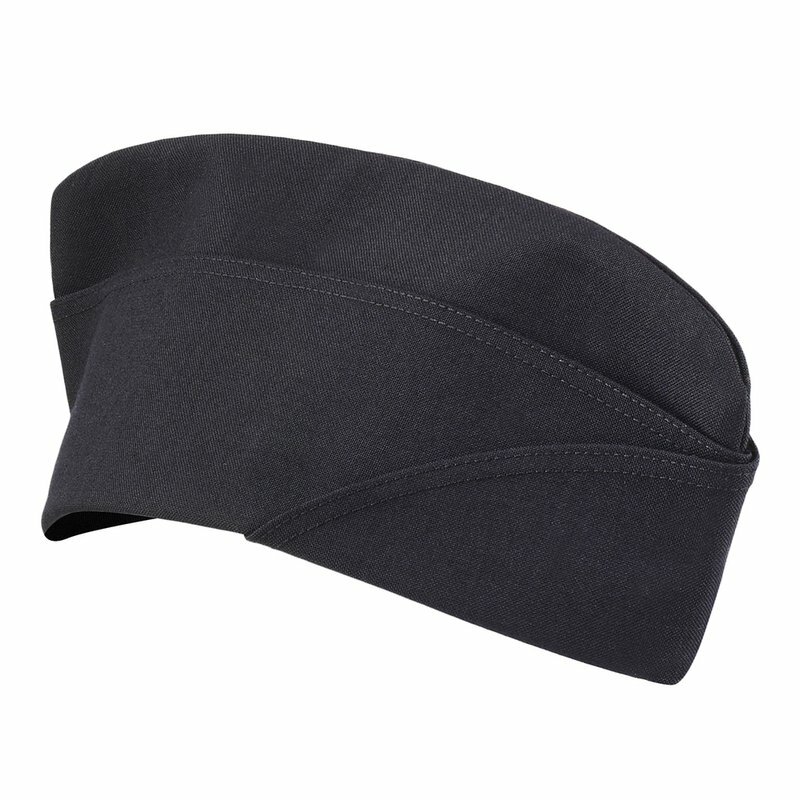 The garrison cap is gender neutral with a fore and aft style, with a top pleat, turned up sides with tapered ends crossing the front, with a curtain overlay on the right side. The cap is lined and has a fabric sweatband. The garrison cap should fit squarely on the head, with the fore and aft crease centered vertically between the eyebrows.